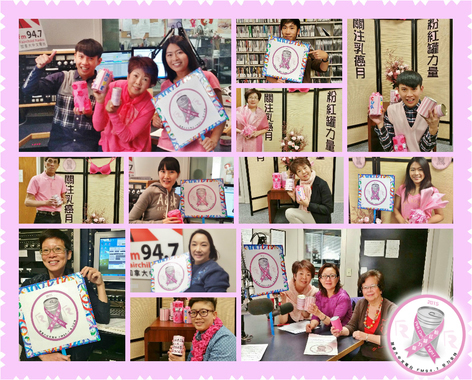 The multicultural radio network Fairchild Radio Group, with its local operations in Vancouver, Toronto and Calgary, celebrated Pink Day on October 23rd to raise awareness for breast cancer and to raise funds for the research, treatment and prevention of the deadly, yet highly curable if diagnosed early, disease. 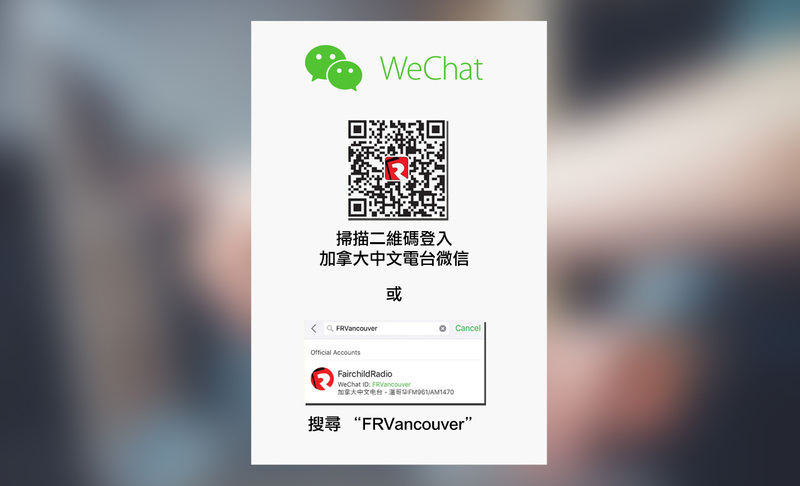 The Vancouver operation AM1470 & FM96.1. Vancouver set up a booth at a shopping centre to sell pink pins, pink socks and pink mittens provided by the Canadian Breast Cancer Foundation, raising $3,700 in one afternoon; Toronto conducted a series of in-depth interviews with doctors and experts, updating their listeners on the latest developments in breast cancer research; Calgary came up with the most creative idea, asking their listeners to decorate canned foods with pink wrappers. The canned foods were later donated to the local Food Bank, so the campaign benefited two charities at the same time. The Toronto operation AM1430 & FM88.9. 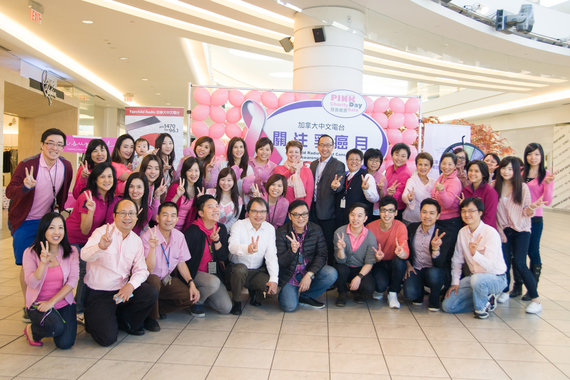 To commemorate the special event, the DJs and staff of Fairchild Radio nationwide wore pink and posed for a group picture in their respective city on or around October 23.